Humans are wired for stories; we’re storytelling animals. The resurgence in storytelling, the original social medium, is an important and welcome evolution for many reasons. Memorable stories scale in a way that facts alone cannot. And a multiplier effect is critical in marketing. Finally, stories cut through the tremendous clutter—much of it lacking context and meaning—created by the never-ending content explosion. Here’s where stories pay dividends: According to a recent Stanford study, stories are remembered up to 22 times more than facts alone. In a world of noise, the best stories win. The most important thing any organization can do is become a storytelling organization. That means elevating your product or service discussion to one that focuses on the human needs of your audience. It all begins with telling the right stories about real people who use your product or service and not focusing on the product itself. Your best stories are not about your products or you. Your goal is to tell a bigger story that makes your customer the hero. Customers are doing their own research, and they’re asking the most important question: How will your product or service make my life better? If your marketing fails to elevate the discussion to one of change for the better, you’ll never rise above the din. One of my favorite models for getting started with storytelling comes from improvisation—one of the most powerful ways of co-creating stories. It’s also that classic and fun universal bed-time story model that you’ll recognize from movies. I’ve used this model as an improviser on stage and as a marketer. Recently, I used this approach in several storytelling sessions I gave at Product Camp Silicon Valley 2013. What I love about this particular model, called the “seven-step story,” is that you can easily adapt it. This approach covers all the key elements of a story, and it works for just about every type of story a company can have: a core purpose story, product stories, origin stories, and others. The most important part of a story is showing how the hero/protagonist of the story changes. What can your customer do now because of your product or service that he/she could not do before? That’s story rocket fuel. No one needs your product or service. What they need is the change that your product or service allows them to make! And you don’t have to be saving lives to claim real value. You must aim for credibility, however. Great stories are built on a foundation of truth. And if you are in need of inspiration, ask customers, “How did we make your life better?” And make it personal. The best product stories are. Once upon a time, Bob, a company owner, kept numerous files in various locations. And every day he had to update information in many places because he did not have the data in one secure place to be able to work remotely. It was a huge pain in a number of ways. Then, one day, a friend introduced Bob to Company X’s cloud-based data services. Because of that, Bob could securely access data anywhere, anytime wherever he was. Because of that he was able to get more work done quickly and easily and without worrying about compromising data security. And every day since that day, Bob’s organization uses Company X because the ability to access data “anytime anywhere” securely has reduced his risk, ensured data freedom, and freed up his time to do what does best: run his business and spend time with his family—not with his IT department. Company X delivers its service via the cloud. No one needs cloud-based services, but the cloud is how Company X delivers its value. 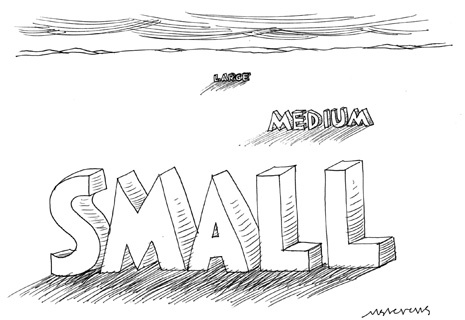 What matters is that the product allows users to do something (bigger than the product) that they could not do before. In this case, Company X enables information freedom, simplicity, security and freed-up time. Your product story is always about the people who use what you sell and how their lives are better. When you focus on products and features—on you, instead of your customers—you are playing a small game. Elevate your marketing. Products come and go; a deep commitment to changing customers’ lives for the better—something bigger than any company—must be an unwavering purpose that provides meaning. That’s the change your stories must focus on if they are to resonate emotionally with your audience, be memorable, and create compelling calls to action. It’s the dream of many public relations professionals: land a position with a promising pre-IPO company. Take less base compensation and sacrifice weekends and holidays for the promise of mainlining a gold vein of stock options and sailing off to the Caribbean following a robust IPO and the requisite vesting period. Ah. If only it was that easy. The reality is that the PR pro in a pre-IPO company has enormous pressure and responsibility to ensure that his/her organization is playing by the IPO communications rules of the road. The job can be like herding cats. A single communications misstep can be extremely costly to the organization, and of course to communications leadership. 2013 is actually turning out to be a banner year for IPOs in the U.S. According to the czars of IPO research at Renaissance Capital, 165 IPOs have priced so far this year — that’s a near 50 per cent increase over 2012. In addition, a whopping 208 IPOs have been filed with the SEC year-to-date, more than 75 per cent than a year ago. And the average IPO has returned almost 30 per cent from the offer price. Twitter, as the galaxy is aware, is expected to complete its IPO process before the end of the year, possibly by Thanksgiving. Its recent decision to fuel the IPO frenzy is having a significant and positive impact on other recent IPOs as well, like Rocket Fuel Inc. and FireEye Inc. Their stock price has doubled since their IPOs less than one month ago. Going public has many pluses. Among the benefits is the opportunity to earn significantly more interest and coverage from business and financial information channels, major newspapers, business magazines, television, radio, financial and business websites, among other media outlets. However, the benefits of enhanced publicity come with the increased responsibility of communicating appropriately, leveraging new-found media attention to support strategic business goals while playing by fair market rules and maintaining corporate transparency. Much of this enormous responsibility falls squarely on the shoulders of the organization’s communications leadership. Remember the companies in the dot.com boom that screwed up their IPOs by inadvertently leaking confidential information that found its way to the media and then the SEC? That’s a sure-fire for the dream to become a nightmare of epic proportions. 1. Prevent official and unofficial spokespeople from telling external sources your company intends to go public. Regardless of when it’s said, it can be published during the IPO quiet period and will look like SEC rules have been violated. Instead, focus on the company’s growth story. Talk about financing as an adjunct that facilitates growth. 2. 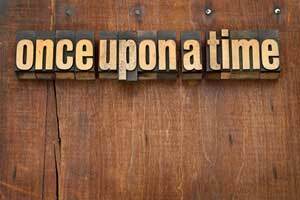 Develop a story that describes your company’s competitive advantages and barriers to entry without industry jargon. Keep it simple and do it well in advance of the IPO as it will serve as the basis for your corporate description in the prospectus. 3. Strengthen your website. During the quiet period, your company website will speak for you to industry influencers and potential investors. 4. Stay visible. Typically, visible IPOs price higher in the range and trade higher afterwards. Don’t focus only on the Wall Street Journal and other national publications. Industry trade publications, bloggers, industry and Wall Street analysts are also excellent visibility creators. 5. Be visible now or company attorneys may say “no” after you have filed. If you haven’t been active before the filing, it will be difficult to be active once you have filed. Even if you have been active with the media before the filing, many attorneys will take an ultra-conservative position and still try to prevent the company from being visible. Challenge their position by sharing the many examples of companies who got their cake and ate it. 6. Once your company has gone public, employees have no right to material information before other shareholders. Make sure your company employees understand the rules. Be prepared to circulate policies that explain how to handle material information and how to avoid insider training. 7. IPO day is the beginning, not the end, of communications. Use the remainder of your quiet period to plan your debut as a public company. Decide what your publicity stance will be on the first day of trading. 8. The first nine months of being public will prove whether you can properly forecast your future for Wall Street. It’s easier to keep your good reputation than try to rebuild it. 9. Look to bellwether companies outside your industry for best communications practices, and not only to your competitors. 10. Work with your company’s attorneys and advisers to fit your desired business strategy within regulatory rules. 11. Get your corporate legal and investor relations teams involved in social media to protect the company from violating disclosure requirements. The risks simply don’t outweigh the benefits.